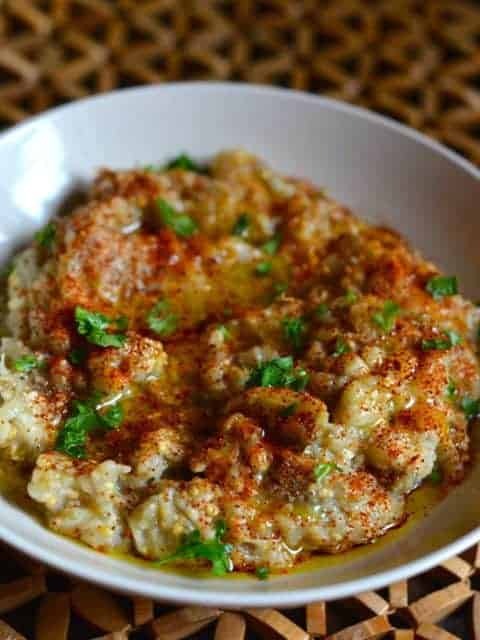 Chipotle Baba Ganoush is a Texas take on an old classic eggplant plant dish, where eggplants are roasted, and then combined with olive oil, lemon juice, and seasonings. This dish can make a nice light lunch or it works wonderfully as an appetizer. Last summer I joined an organic co-op where I received a weekly basket of fresh locally grown produce. Since my co-op was local that means some weeks you end up with an over abundance of a particular vegetable. I loved this because it gave me a challenge in trying to prepare what was in my bag. One particular week I received a whole bunch of beautiful eggplants. Personally I had never made the baba ganoush, but I have had it out many times. For me eggplant meant one thing, eggplant Parmesan. 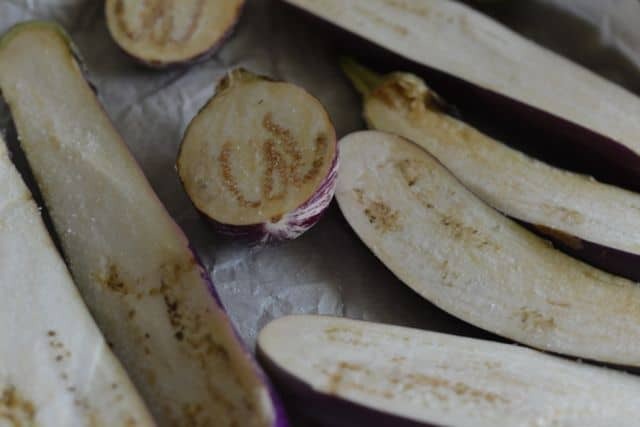 Baba Ganoush is a wonderful way to prepare eggplants, and what I like about this dish is that you can use any type of eggplants to make this. 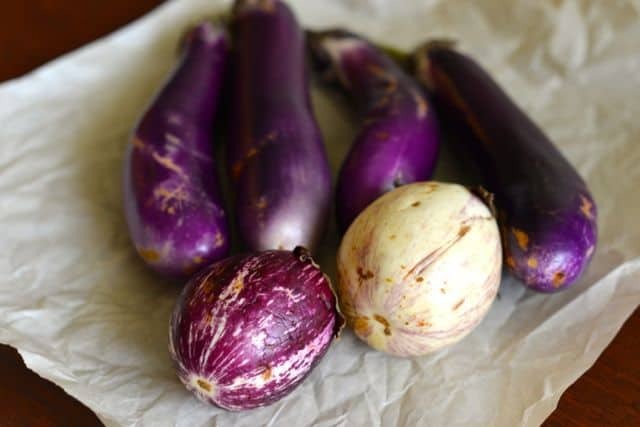 You can use the larger eggplants that we normally think of, but the Chinese eggplants work well too. Best of all this is one of these dishes you can make ahead of time, in fact this dish tastes better if you make it a day or two before you want to serve this. While you can buy this already made, I think making at home can make it taste even better. For this recipe to add my special Texas touch I add a little touch of chipotle pepper powder. Chipotle powder is made from smoked jalapeno peppers. So this adds a really nice amount of smoke with a bit of heat. You can serve this dish with pita bread, toasted bagels, fresh vegetables, I personally love this with fresh red bell peppers. I have even been known to eat his unaccompanied. Enjoy Baba Ganoush with a bit of spice. Preheat oven to 350 degrees, slice eggplants in half. Place eggplant flesh down on a baking sheet that has been lined with parchment paper or one that has been sprayed with non-stick spray. Bake eggplants for 30 minutes, or until the flesh is soft. Allow eggplants to cool until they can be handled easily. In a medium-sized bowl scrape the meat of the eggplant into the bowl, discard the skins. Add tahini, lemon juice, olive oil, kosher salt, minced garlic and chipotle powder and mix well. Pour into a serving dish and drizzle with additional olive oil and sprinkle some additional chipotle powder if desired. Chipotle — powder, peppers, or sauce — makes everything better!